Located on the edge of the historic Roman City of Chester, just off the A55 adjacent to Chester Business Park. The Holiday Inn offers 143 air conditioned guest bedrooms, in an excellent location for both business and leisure visitors alike. Benefiting from immediate proximity to Chester and its attractions including Chester Races, Grosvenor Museum, Cathedral, Chester Zoo, Cheshire Oaks Outlet Village, Blue Planet Aquarium and Delamere Forest Park. 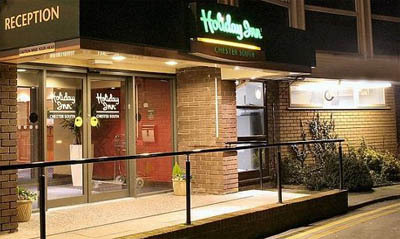 Holiday Inn Chester South provides an ideal visitor base, with a choice of accommodation including Standard, Executive and Accessible bedrooms. Located next to Chester Business Park, where MBNA Europe, HBOS and Marks & Spencer Money all have their UK headquarters. 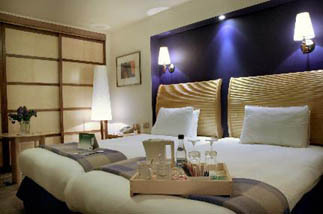 The Holiday Inn combines an excellent range of facilities for both business and leisure travellers. The hotel has a gym, a 15m heated swimming pool, sauna & jacuzzi. A hotel restaurant and bar serving food and drink throughout the day and 24 hour room service. The hotel also caters for Conference and Banqueting events for up to 120 people making it an ideal location for Training courses.